What Does The Best Bond Cleaning In Carindale Cover? Finding and selecting reliable house cleaning in Carindale is not easy. The most common questions we get asked by people like yourself have been collated below to assist you in making a smart decision. 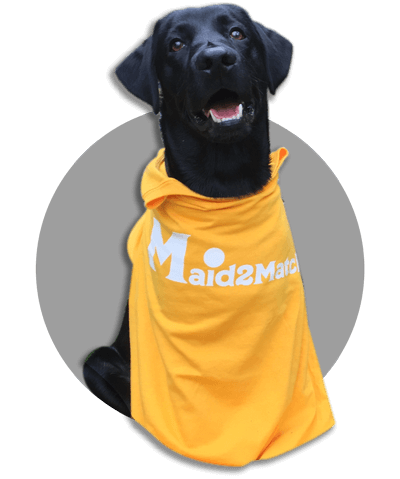 WHY ARE MAID2MATCH CARINDALE’S BEST AT VACATE CLEANING? The truth is great bond cleaners possess a different skill set than regular house cleaners and therefore requires specific experience, dedication, and a first-class cleaning checklist. At Maid2Match, we personally vet all our cleaners, after having them complete a three-part application form. We provide extensive support and have crafted the most effective bond cleaning checklist you’ll find. Look no further than our experienced and insured experts for your move out cleaning Brisbane. One of Brisbane’s suburbs, Carindale is situated 10 kilometres to the east of Brisbane CBD, surrounded by the suburbs of Belmont, Mackenzie, Carina, Carina Heights, Tingalpa, Mansfield and Mount Gravatt East. One of the most prominent attractions in the area is the huge shopping centre of Westfield Carindale. There are over 400 stores here, many of them owned by major brands. For instance, the David Jones and Target department stores sit side by side to a Myer and Big W. There are lots of supermarkets, including a Woolworths, Aldi and Coles, as well as an Event cinema. Besides, Westfield Carindale hosts the Carindale public library too. If that convinced you, Carindale is easy to get to with lots of public transportation to and from the nearby areas. The Pacific Golf Club is equally entertaining for tourists and inhabitants alike, while the Belmont Bushland Reserve and Bulimba Creek offer wonderful hikes. Carindale is the most similar suburb to the Central Business District, which is why it’s been known as the mini-CBD. One reason is that the whole area is for people with a high socio-economic status, which is obvious if you look at all the mini-mansions spread on Carindale’s surface.